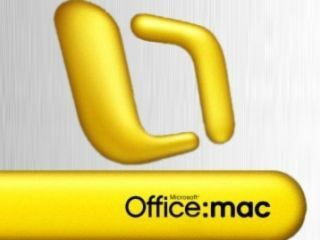 Microsoft Office for Mac 2011 has been given an official UK release date and pricngs, with the software suite costing from £89.99 when it arrives globally at the end of October. With Office 2010 perfoming well, Microsoft's Mac version is now close to release, and will be available in time for Christmas (so you can put your wish list in an Excel spreadsheet Apple fans). There will be two versions released, Office for Mac Home and Student 2011 and Office for Mac Home and Business 2011, and Microsoft has announced that people who buy Office 2008 for Mac from today can upgrade when it arrives for no extra cost. "We develop Office for Mac to give you the tools to create great looking and compatible documents – with options to pick the right edition for your Mac needs," said Neil Thompson, general manager entertainment & devices division UK & Ireland. "More than ever before, Office 2011 brings the familiar productivity tools and features of Microsoft Office to a suite of applications that work great on the Mac." Microsoft Office for Mac Home and Business 2011 includes Word for Mac, PowerPoint for Mac, Excel for Mac, Outlook for Mac and Messenger for Mac, and will retail starting at £189.99. It also will be available in two editions: a single install for £189.99 and a Multi-Pack for £239.99 with two installs for a user with two machines.